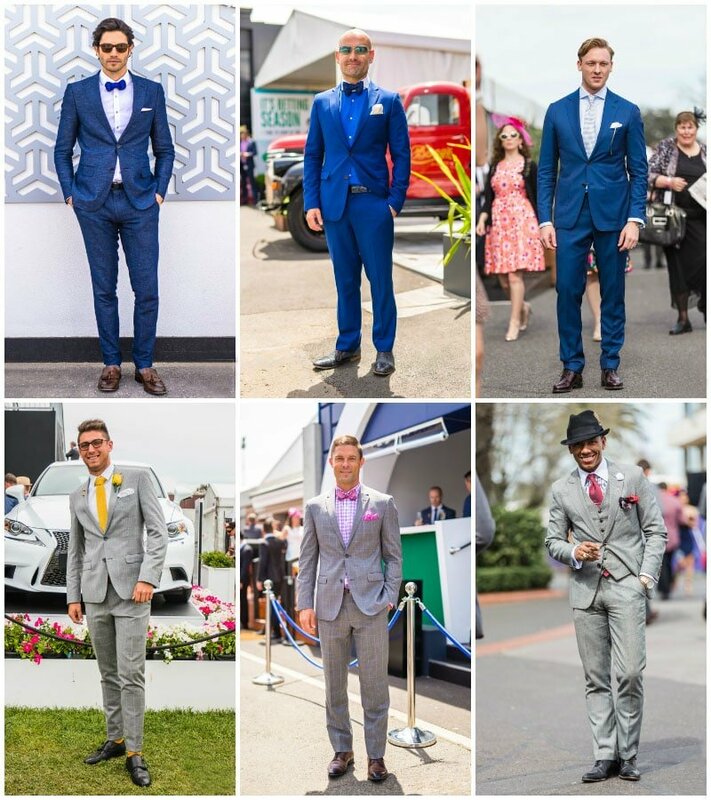 Now that you have size and fit sorted, what type of suit do you buy first? With all the different patterns, colour combinations, textures and weights, it is hard to determine which suit will serve you best. We have put together a guide to help you get the balance of classic pieces and trendy statements just right. 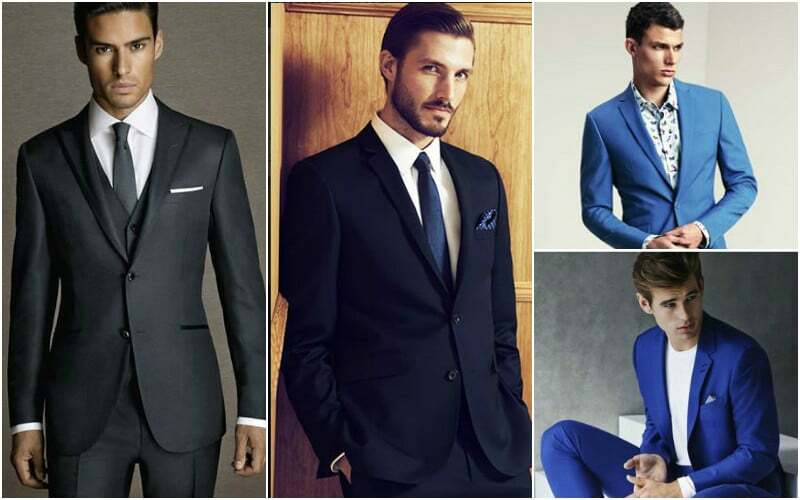 If you are buying your first suit, it is best to start with something classic. Start with solid colour suits in navy or grey tones which are more versatile than an all-black number, and then you can begin to build up with textures and patterns. Otherwise known as the classic twill Serge is a durable military grade fabric that is often used for classic suits. It is a high-quality woollen material, often rich in colour, and finished off so that the fibres are prominent giving it a clear and polished finish. By starting your collection off with a serge fabric in a dark navy or other solid colour you will have a classic yet versatile base for your wardrobe. 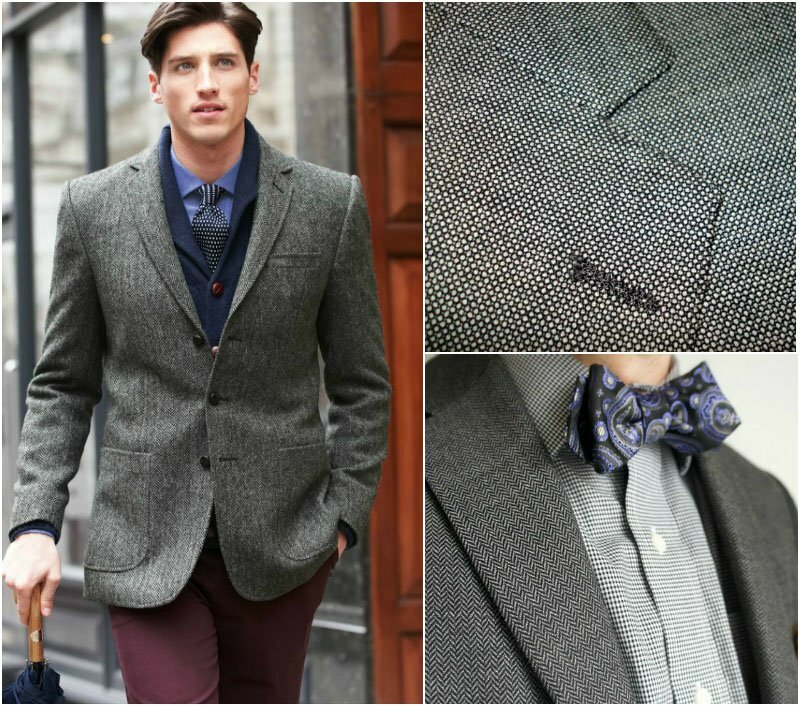 Both textures are conservative but add depth to your overall look. Birdseye is known for its tiny dot pattern whilst herringbone is distinguished by a zigzag pattern woven into the fabric uses two colours. 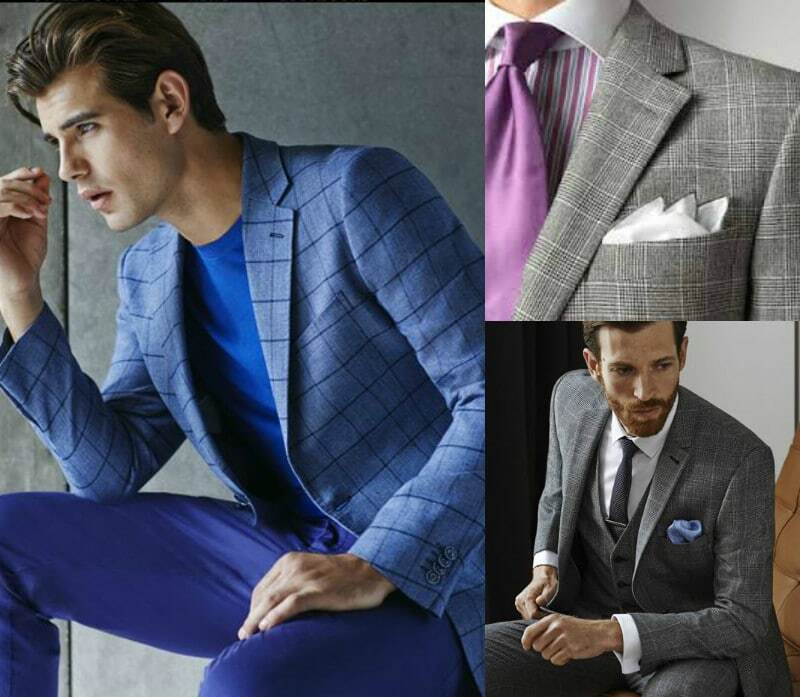 Both options bring an eye-catching difference to a solid coloured suit. Pin, chalk or cable? 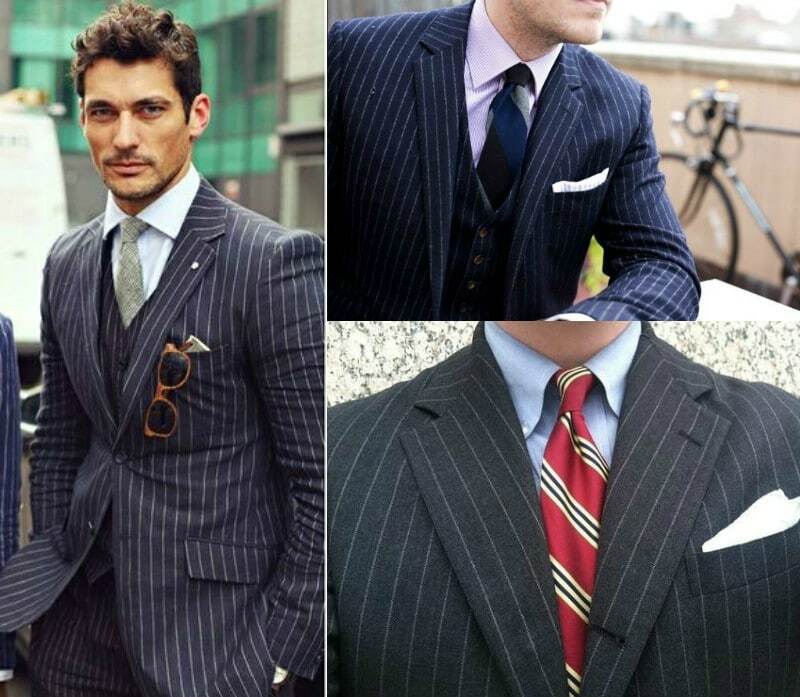 All these stripes have subtle differences and will change the overall look of your suit. Pinstripes refer to very thin single stripes woven into the fabric of a suit. They are generally used on worsted wool. Chalk and rope stripes are a series of threads, wider than a pinstripe, often resembling a rope. Stripes can sometimes be an imposing look. Make sure you mix up the look with a shirt, for example, a small gingham print that will break the wall of stripes. Lighter hues of grey and blue with a stripe are a good option as they steer away from looking too much like a retro Wall Street banker. Checkered suits should be the last addition to your wardrobe. Although they can add flair to your collection, they are less versatile and formal than the other options mentioned. Glen checks or plaid checks are the traditional checks you will find on most suits. They work well with lighter shades of grey or blue, often with a complementing colour used for the pattern. Like stripes, checkered suits can often be overwhelming. Pair your suit with a solid shirt and tie combination, or if you want to opt for a print, try a smaller check in a colour already used on the suit. Accessories – to pull together your outfit add final touches like a pocket square, flower lapel pin or tie pin. Shoes – as a general rule of thumb, black shoes work well with black, black grey, light grey or navy suits. Brown shoes match a brown suit, light grey or navy. Always make sure your belt matches your shoes!